Riverdale had a huge presence at SDCC this year! We sat down with the cast and producers of the series and they teased the upcoming season for us! 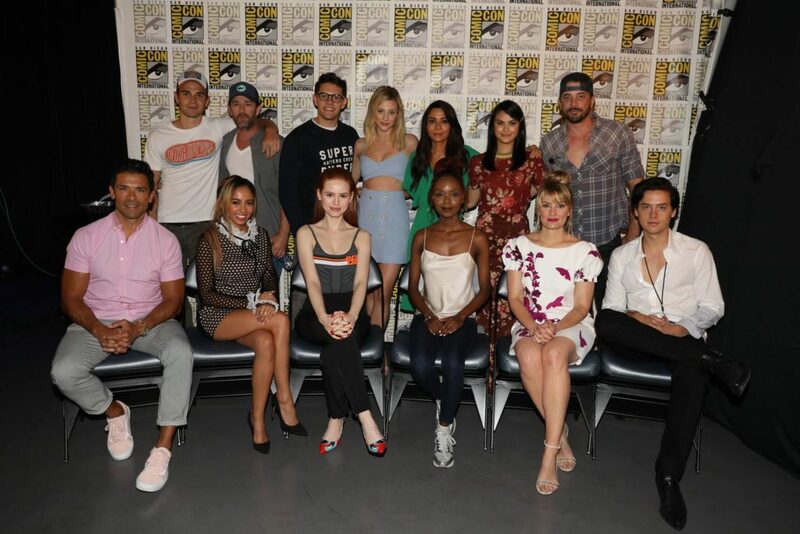 Riverdale took over Hall H at SDCC, but before that, they sat down with press to talk about the show and its upcoming third season. What can you expect? Take a look at the videos below for insight! Our conversation with Luke Perry, KJ Apa, and Cole Sprouse started about the series but then moved to fame and social media. Perry had some supportive words for Apa and Sprouse on the subject. Vanessa and Madelaine talked about their hopes for next season, Cheryl’s adjustment to being a Serpent, and their relationship! Choni shippers take a listen! Casey Cott and Ashleigh Miller were very excited to talk about their characters arcs for next season, including their romantic relationships (or lack thereof) and what we’ll see now that Ashleigh (Josie) is a series regular. Veronica’s parents Hiram and Hermione Lodge (Mark Conseulos and Marisol Nichols) shed some light on their relationship and that handshake at the end of season two! The show wouldn’t be here without the comics, so what’s it like seeing them on the screen? John Goldwater and Sarah Schechter discuss season three! You can check out the highlight reel of season two and the exclusive look at season three below!